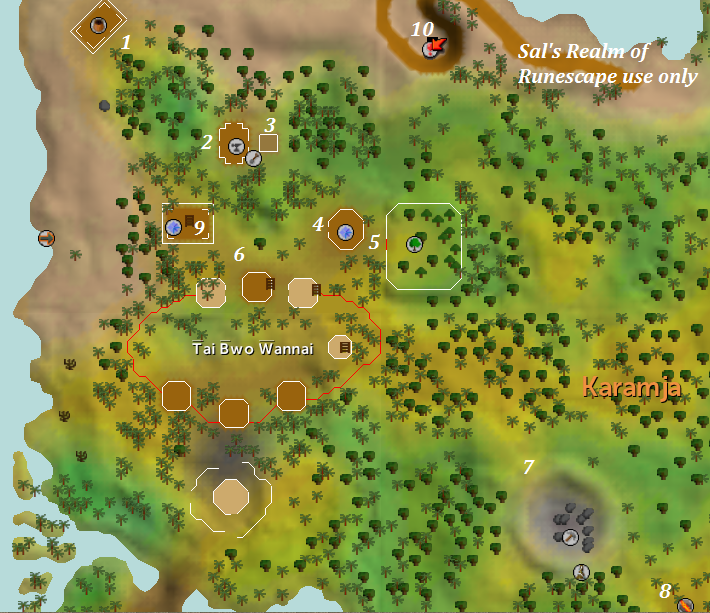 The Tai Bwo Wannai Village is a great place to train, but the Tribesman can hit up to 110 Life Points with their poison! 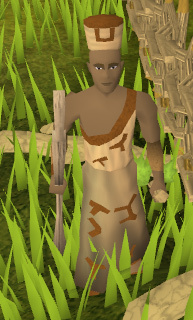 In the Village, you can start the Jungle Potion Quest, Tai Bwo Wannai Trio Quest and play the Tai Bwo Wannai Cleanup Activity. This place is in the Jungle, and it can get pretty scary for low levels. Here at Jiminua's Jungle Store, you can buy Jungle survival items! 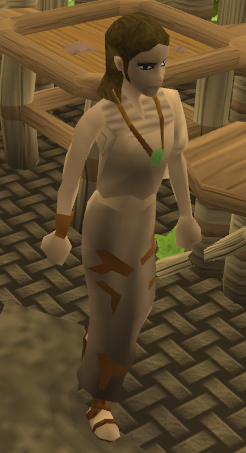 You can buy a Machete for the Tai Bwo Wannai Cleanup Activity, and you can buy Anti-Poison potions (3). This is great for all your jungle needs! There is an Anvil here in the city, and if you brought noted Bars with you and some money, you can un-note these at the store to smith them. In this hut, you can also find Safta Doc, who makes machetes for Gabooty. If you bring the required equipment to him, he can make you machetes. Here is a Farming Patch. 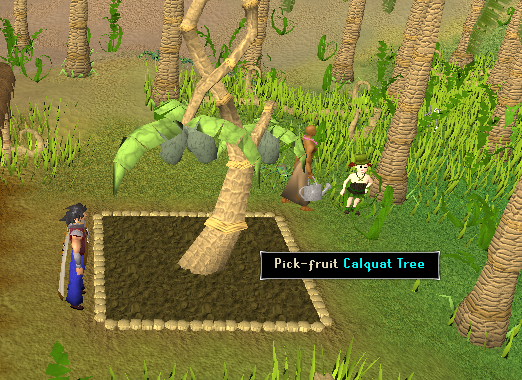 You can grow your crops here, and get your farming tools from the Tool Leprechaun! Not many people farm here, but it is good for experienced farmers! In this house, you can start the Jungle Potion by talking to Tuftritus. There is nothing special in this house, except for bookcases, although you won't find "any thing interesting you'd ever want to read." This is one of the two houses where you can start a quest. In this little fenced-in area are a number of Teak and Mahogany trees. 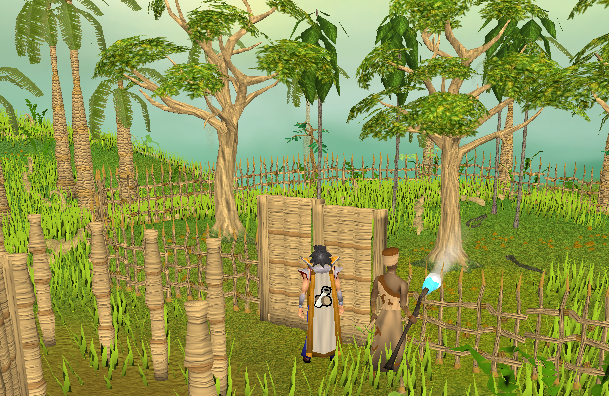 You must pay 100 Trading Sticks to enter this area, which is typically used to cut these trees with your Woodcutting skill. 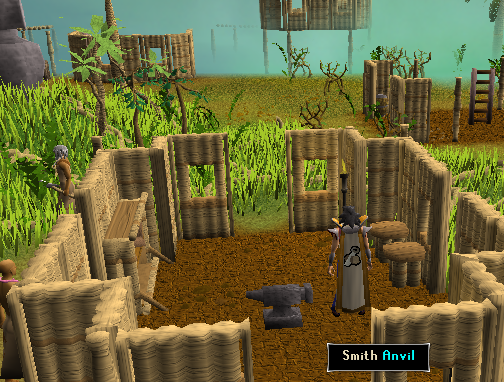 There are Bronze and Iron Axe spawns in here, and there are level 5 Snakes for you to kill if you'd like to. There are several Tribesmen separated throughout this area. There are also Chickens in here, too. Be aware that if you attack a Tribesman, you will get poisoned. Their poison can hit up to 110 Life Points! 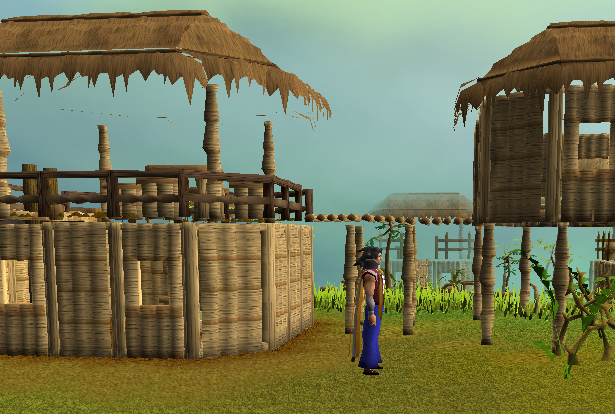 If you have any Thatch Spars, you can repair the fence around the Village for Trading Sticks. 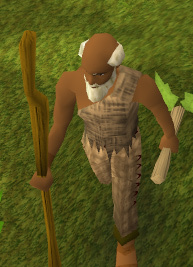 You can also find Gabooty wandering around the center of the village. He operates two stores which only accept Trading Sticks for currency. 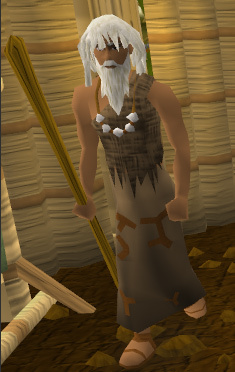 Trading Sticks can be earned from the Tai Bwo Wannai Cleanup Activity. Players with a good favour percentage can also receive Trading Sticks from Gabooty if they have not asked for any recently. 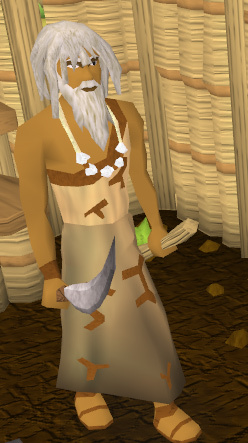 Gabooty's shop sells various clothing unique to Tai Bwo Wannai village, along with gems, machetes, and Gout Tuber. Remember, this shop will only accept Trading Sticks! This shop sells a number of refreshing drinks (and of course, only Trading Sticks can be used to purchase them). This mine is good for advanced level Miners. There are a number of different kinds of rocks here, including Iron, Silver, Coal, Mithril and Adamant. It is rare if someone is here, so it is a great place if you need quick experience. 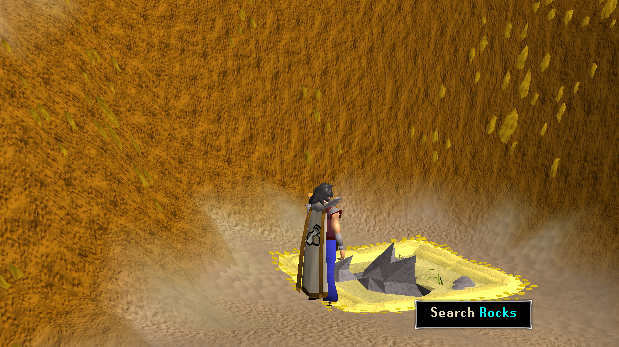 Since there is no bank nearby, it is suggested that you powermine here. 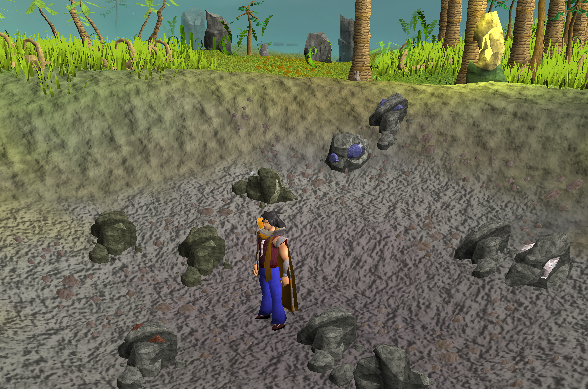 North-east of the mine is a Nature Rune Altar. 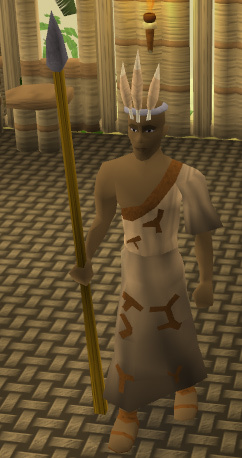 It is used in RuneCrafting. It is a RuneCrafters destiny to craft runes here. You may see people running back and forth from the Altar to the General Store. 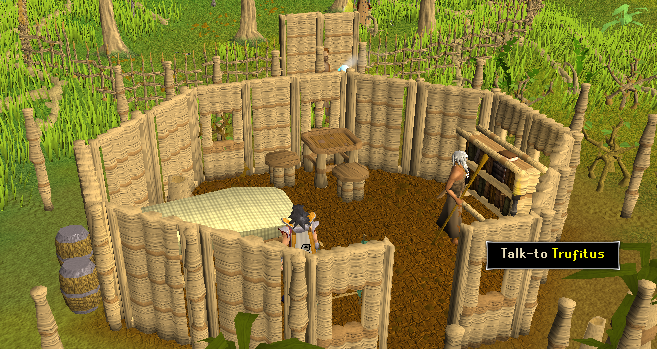 To the upstairs of this house is Timfraku, who you can talk to to start the Tai Bwo Wannai Trio Quest. There is nothing special here in this house. At the northern port of the city is a dungeon entrance. 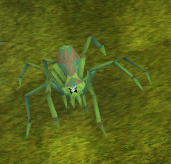 Be aware that guarding this dungeon are level 46 Harpie Bug Swarms, and inside there are level 53 Jogres. This dungeon has a role in the Jungle Potion quest.